This entry was posted on January 6, 2016 by Tinteán Editorial Team/EMcK, in Features, Gallipoli, History, Irish Soldiers at Gallipoli, News and tagged Gallipoli, Irish 10th Division at Gallipoli, Irish involvement at Suvla Bay. Bookmark the permalink. August 6/7th marks the centenary of the landing by British troops at Suvla Bay on the Gallipoli Peninsula during WW1. The deadly Suvla campaign, immortalised negatively in The Foggy Dew, was the first time that Irish volunteer soldiers in Kitchener’s ‘New Army’ saw active service in the war and it cost them dearly. The landing at Suvla Bay remains controversial partly because, according to some historians, the objectives of the campaign were not clear either now or then and because of the failure of the British commanders to take decisive action immediately following the landing and before Turkish re-enforcements could be brought up. The Allied objective was to seize control of the Dardanelles, a strategic waterway through which they hoped to attack Constantinople and knock Turkey [the Ottoman Empire] out of the war. French forces even landed on the Asian side of the Dardanelles but only managed, as did all others, to establish a toehold. By August 1915, a costly stalemate existed on all fronts. The Gallipoli campaign had become bogged down in a deadly pattern of trench warfare similar to that which existed in France. 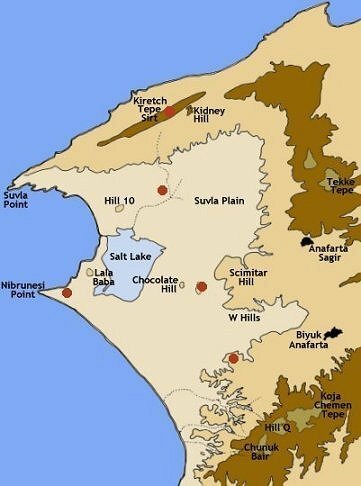 British commanders therefore decided to refocus operations further north and to open a new front at Suvla Bay. Depending on whom you believe, the ANZAC operations at Lone Pine, the Nek and Chunuk Bair [in which Irish soldiers also took part] were either a diversion to support the landings at Suvla Bay just to the north or a genuine attempt at a breakout to reach the eastern shore of the Dardanelles. Similarly, the landings at Suvla Bay were either an attempt to take the Turkish defenders on the peninsula by surprise and push on to the Dardanelles, or were simply to support efforts elsewhere out of ANZAC Cove or to establish a larger base for operations in the north than was available at ANZAC Cove. Controversy exists as to the real nature of the operation partly because orders were unclear or limited in their scope. About 80,000 [men] enlisted in Ireland in the first 12 months of the war, some half of whom came from Ulster. 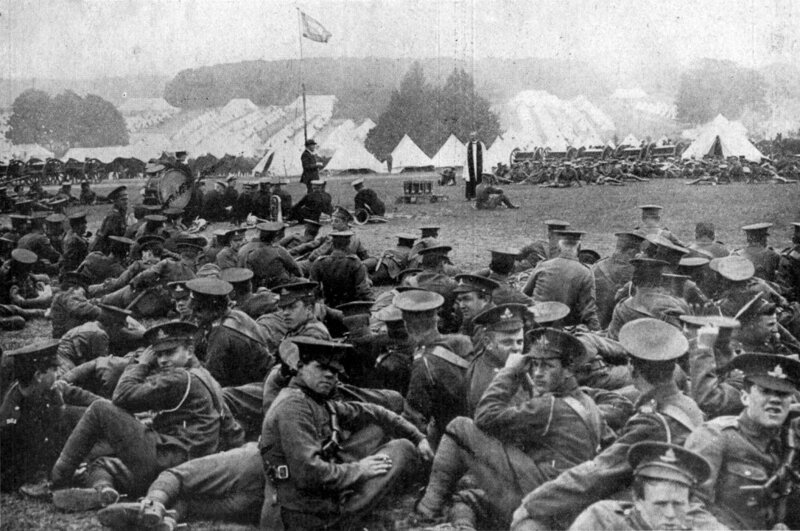 The First New Army of 100,000 soldiers, K1, contained the 10th (Irish) Division which was formed in late August, 1914. It had three brigades. One had regiments with bases in all four provinces. The second was based in Ulster and the third was based in the other three provinces. In May 1915 the 10th Division moved to England from Ireland and concentrated around Basingstoke. 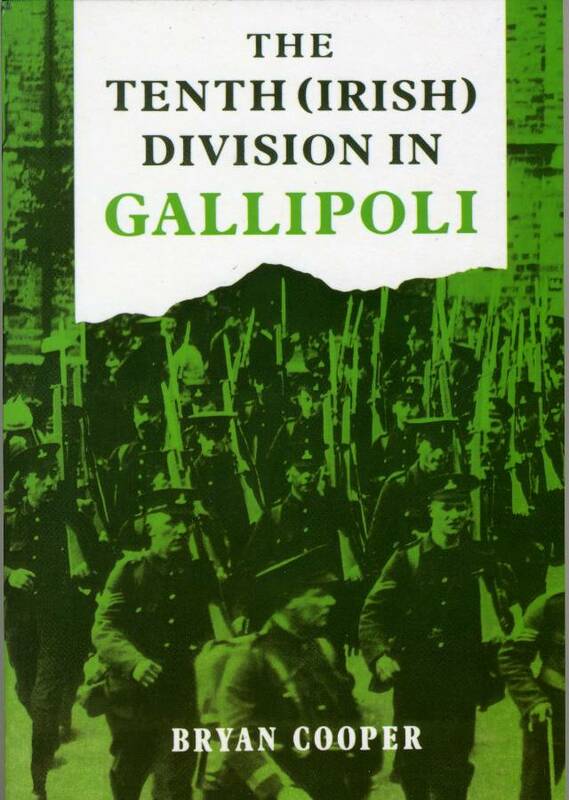 On 27 June, the Division received orders to prepare for service at Gallipoli. Divisional HQ embarked at Liverpool on 9 July, and by the end of the month most units had assembled on Lemnos. 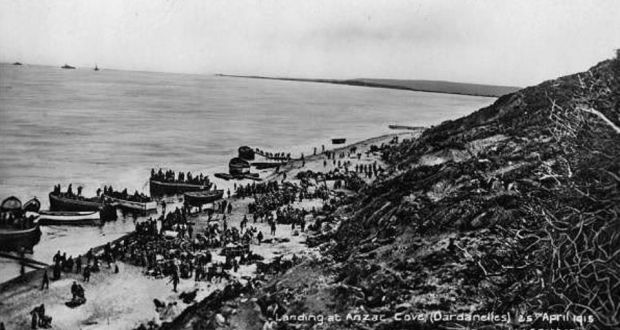 On the 6-7 August 1915 the Division landed at Suvla Bay, less the 29th Brigade which went to ANZAC Cove. The main body made an attack on Chocolate Hill on the 7/8 August. Parts of 29th Brigade took part in actions on Sari Bair on the 6-10 August and at Hill 60 later that month. The Division’s 30th and 31st Brigades which landed at Suvla were not only hastily deployed and inexperienced but did not have all of their men and equipment available. The Division’s artillery was still in Egypt and its engineers were delayed. The landing was also somewhat chaotic with units landing in the wrong places. The failure of the British commander in the field, Sir Frederick Stopford, to move immediately beyond the beachhead and seize higher ground before the Turkish reinforcements could arrive is now infamous. This inaction has been widely condemned both officially and popularly, such as in Peter Weir’s film Gallipoli which treated the Suvla landing as a bad joke. ..for the Irish, Suvla is no joke. Coming at a sensitive time in the relationship between Britain and Ireland, with the divisive issue of home rule having been tentatively put on hold, it became politicized, symbolizing the waste of young Irish lives and English indifference. Stopford was relieved of his command on the 15th August but it was too late. The Empire can do with a heap more ‘freshies’ of the Irish brand…Those that witnessed the advance will never forget it. Bullets and shrapnel rained on them, yet they never wavered…God! The men were splendid. The way they took that hill [now called Dublin Hill] was the kind of thing that would make you pinch yourself to prove that it was not a cheap wine aftermath. Kildea notes that after early success there was no more to be had as the Turkish army had taken advantage of Stopford’s inaction to bring up its forces who occupied and held the higher ground . The charge on the 15th had cost many lives, the holding of the captured position many more, and yet the suffering seemed to have been futile. The 10th Division had been shattered, the work of a year had been destroyed in a week, and nothing material had been gained. During the battle, the continuous shelling set the undergrowth ablaze and many of the wounded were burnt alive where they had fallen. Attack after attack failed to dislodge the Turks and when the action was called off more than a third of the attacking force had been killed or wounded. A common feature of these operations was their poverty of purpose. All of them were designed only to improve the local tactical situation on various parts of the line. None were attempts to seize the Anafarta Ridge and so could have made no substantial difference to the overall position of the IX Corps. What they did was to add to the casualty bill. Exact figures are hard to come by, but the total casualties caused by these futile actions cannot have been fewer than 10,000 and the attack on the 21st August alone cost 6,500 men. Final statistics showed that the two Irish brigades at Suvla had been cut down to 132 officers and 4981 other ranks. The Irish Division had been more than halved since the warm summer night when they set sail from Lemnos and Mitylene. There was a rather sad visit to Dublin the September of 1915, for Lord and Lady Aberdeen were going to America, and before that there had been Suvla Bay, where blow after blow fell day after day on one’s heart. So many of our friends had gone out in the 10th Division to perish at Suvla. For the first time came bitterness, for we felt that their lives had been thrown away and that their heroism had gone unrecognized…Dublin was full of mourning, and on the faces one met there was a hard brightness of pain…One met mourners everywhere. On September 29, 1915, the 2,454 strong 10th (Irish) Division set sail from Gallipoli for Salonika to fight on the Bulgarian front. On the 3rd October, the Royal Dublin and Munster Fusiliers were at the front line and were ordered to take the village of Jenikoj which is now in Macedonia. In the attack, they lost 385 men killed, wounded or missing. 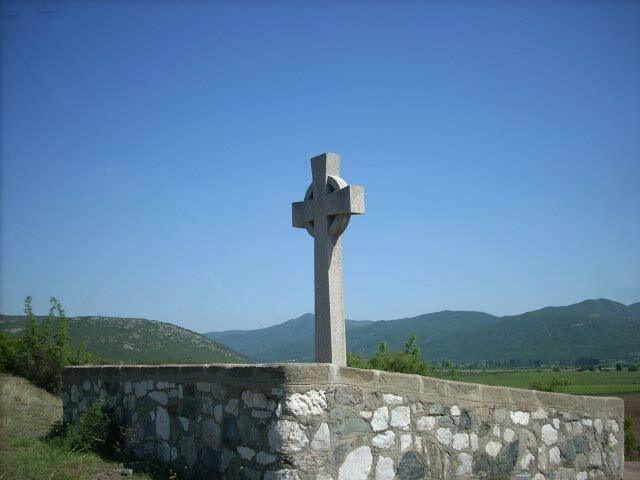 There is a granite Celtic cross to commemorate the 10th (Irish) Division near the village of Robrovo in the Former Yugoslav Republic of Macedonia. In September 1917 the 10th Division was transferred to Palestine and fought alongside the Australian Light Horse in battles such as Beersheba. Jeff Kildea notes that during its time there the Irish component was steadily diluted due to declining enlistments until by the end of the war it was effectively an Indian division. Keith Harvey is editor of ‘The Debate’, the journal of the Australian Institute of Employment Rights and is a trustee director of an industry superannuation fund.